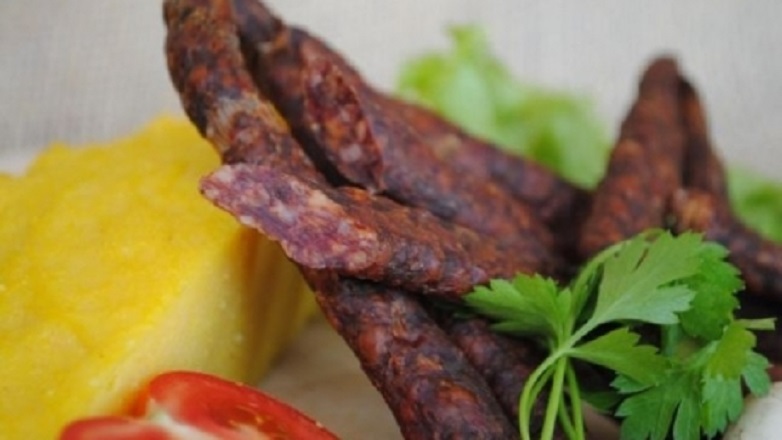 Some historians state that the so-called ”Buzău Sausages”, prepared from sheep meat, with a lot of spices, existed since the 13th and 14thcentury. 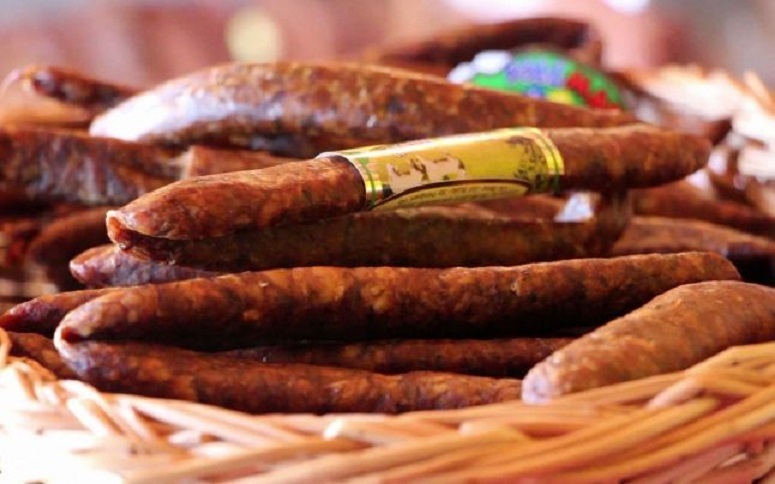 The legends say that this type of sausages was prepared for the first time by the outlaws that were hiding through the woods and hills around Buzău. In order to have enough food for a longer period of time, they would steal sheep from the villagers that owned more, would kill them and would prepare from their meat pastrami and sausages they used to wind dry and then smoke-dry. 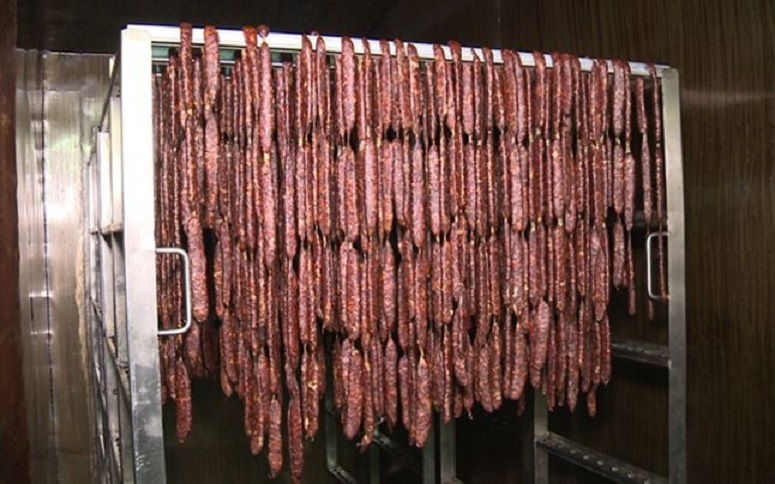 The sausage preparation method was transmitted from generation to generation, allover Buzău area. In one version of the legend, it is said that the Serbians and the Bulgarians that were seeking refuge in the area, would have contributed at the aroma specific to the Pleșcoi Sausages. The Serbians were the ones that introduced the hot pepper into the recipe. According to the original recipe, they are prepared from sheep meat chopped with the poleaxe, sheep suet and many spices: garlic, thyme, basil, hot pepper; salt is added and it is stuffed into sheep guts. Then, they are dried into the wind and smoked with beechwood. Nowadays, we have on the market two types of “Pleșcoi Sausages”. 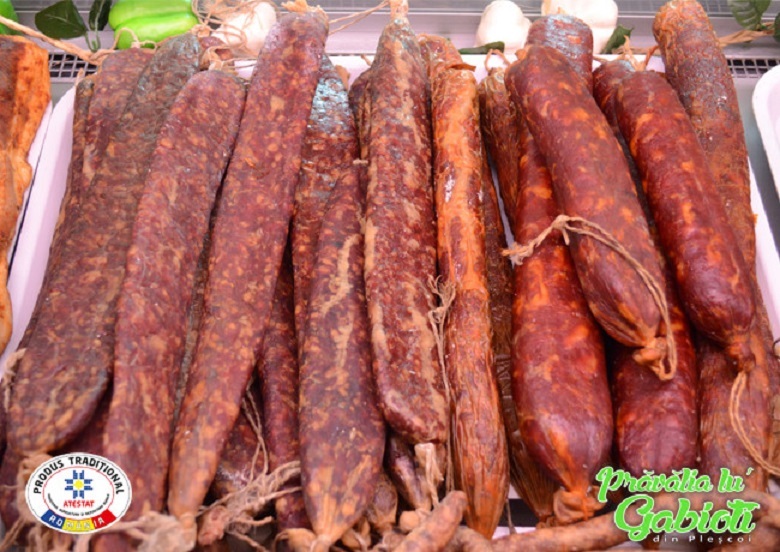 Raw, dried and smoked Pleșcoi Sausages– they contain minced sheep meat, mixed only with natural ingredients: garlic, hot pepper and thyme. They are left for 10 days to complete the maturation process; during the maturation they are pressed several times, the pressure applied gives the product the special flattened shape. The sheep guts are used as membrane. These sausages can be eaten raw like they are, or they can be broiled but not more than one minute. Fresh Pleșcoi Sausages – they are prepared only from sheep meat (if the meat is too fat, beef is introduced into the composition) and natural spices are added: garlic, thyme and hot pepper. They are smoked with cold beech wood smoke and can be eaten broiled or roasted. The lack of additives, the use of the natural spices and the use of the natural membranes, make the resulted products not only tasty but also healthy. The only preservatives used are salt and smoke. The smokehouse used only hardwood with no resin.